In Plásticos Ferplast we are experts in manufacturing, treatment, and sales of plastics, offering global service without a middlemen. We are also a pioneering company in the field with activity that dates back to 1953. We offer the possibility of acquiring various types of plastic in sheets, tubes, or bars, with a full variety of colors, finishess, and options. But we also have the ability to produce fully finished products. For this, we have in our facilities the most advanced machinery and technology, with which we can make any kind of piece.We also offer the possibility of carrying out complete installation projects (in construction, industry, advertising, etc …) according to the needs of the client. Our catalog of materials includes methacrylate, compact and cellular polycarbonate, PETG, PEHD polyethylene, PVC and foamed PVC. We are also able to supply other technical plastics such as nylon, Teflon, polyamides, Celotex or Delrin. For their transformation, our facilities of more than 2000 m² have machinery and cutting technology for measuring, laser cutting, CNC machining, thermoforming and 3D printing. Together with this, we offer technical advisory services, manufacturing of parts, creation of prototypes and special pieces, storage of stock, 24-hour urgent service, and installations and assemblies. We are characterized by a zeal for innovation and willingness to provide ongoing advice to the client in their applications, which has allowed us to accumulate an extensive knowledge of the product and recognition as one of the most representative companies in the sector. Currently, our customers´ trust in us and our seriousness and professionalism allows us to have customers throughout the country, and to export to different countries of the EU. The company begins operations in Terrassa, a town that had experienced a great industrial boom thanks to textiles. With the crisis in that sector, businessman Jordi Freixa Ubach seeks to enter new markets. He entrusts Julio Ferrán with a new business project: the adaptation of equipment to work with plastic materials. The new project will be called Plásticos Ferplast. The business idea is met with great acceptance, taking its first steps as a supplier of components for industries and businesses. Methacrylate is its main product. A decision is made to bet on its own, more central facilities, which will house the company until the 1990s. Plásticos Ferplast gains popularity, gaining volume customers throughout the country. Despite its growth, it is committed to keeping an office open to the public at street level to continue serving private customers. Little by little, it begins to outgrow its facilities. The move to a much larger industrial warehouse allows Plásticos Ferplast to be more ambitious. New technologies, such as numerical control machines or robotic stations, are acquired that will be fundamental for taking a leap forward A commitment is made to increase the catalog of plastic materials. The company starts its expansion into EU countries. A large number of competitors have appeared in the market. However, the trajectory of Plásticos Ferplast puts it in an advantageous position that continues to bet on new equipment: its first 5-axis machine, or CAD CAM technology. 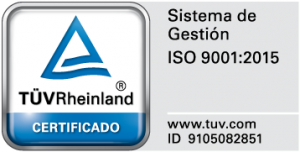 The ISO 9001 certification (currently ISO 9001/2015) is obtained, which warrantees the quality of the Plásticos Ferplast processes. The company enters the online world with the creation of its first virtual store.The catalog of proposals is expanded with new technical plastics such as nylon, Teflon or polyamides. Currently Plásticos Ferplast is composed of a team of more than 25 people who work daily to meet the needs of all its customers and collaborators. To do this, it also has diverse advanced technology machinery, including six computer numerical control (CNC) machines and wide variety of specific machines for manufacturing and transforming plastic in general.